Ah, sweet Valentine's Day...it really is sweet to take the time to focus on those you love best. I love a good homemade card and bar of dark chocolate! I'm also never disappointed with jewelry! I've put together some of my top recommendations for little love gifts! 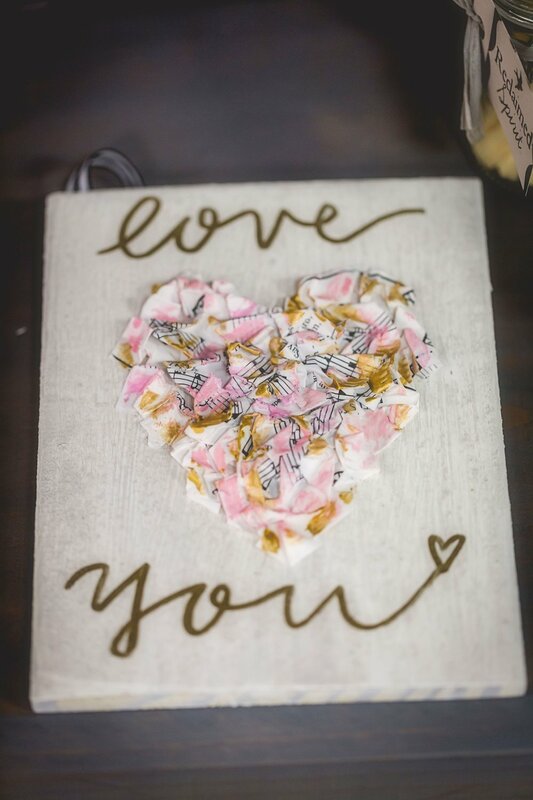 Original mixed media pieces by Stacey are sweet little tokens, perfect for little girls or co-workers. Bath salts, lavender pillows and a gorgeously scented candle are all great treats! Available in store now. Gift wrap is complimentary, and I'd love to help you choose the perfect gift! Most importantly, though, I hope you take a minute to let the ones you love know how special they are to you! I pray love and kindness will cover you all as you spread it out into the world!